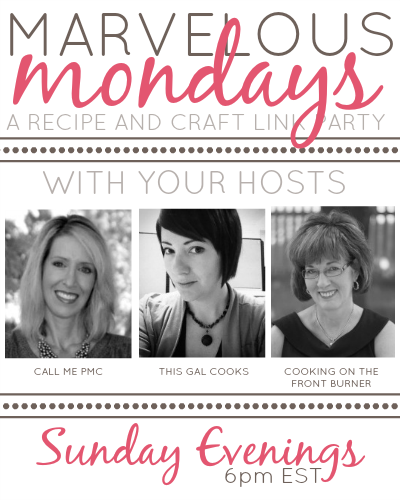 Good evening and welcome to Marvelous Mondays Link Party 85. How was your week? Mine was good. Now this week, this week is gonna drag. We start our vacation on Saturday. You know how that goes…the week leading up to vacation always drags! Let’s get on to last week’s most viewed links. Yep. Links. Plural. There was a tie! Please be sure to stop by and check out thse tasty recipes! Pin, share, save for later because this recipe looks amazing! You can check out my favorites features throughout the week by visiting Facebook, Twitter, Pinterest and Google Plus. You’ll find follow links below! Pingback: Gluten Free Yummy! Tuscan Bean Soup (gluten & dairy-free) - Gluten Free Yummy! Julie, I’m really excited to find some new eats here tonight. I’ve been in the worst dinner rut lately. Thank you so much for hosting each week. I know I’m not the only one counting down to link-up time every Sunday night. I’m glad you enjoy the party. :) there are always so many good treats! Thanks for stopping by. Hope you have a great week! Pingback: Gluten Free Yummy! Strawberry Pavlova with Honey-Balsamic Reduction - Gluten Free Yummy! Thank you Julie for featuring my Eastern European Layer Cake !! Thank you, Cindy! I’m so ready for this vacation! Hope you have a great week! Hi Julie, thanks for hosting and enjoy the week. Hi Julie! Wishing you a great Valentine’s Day week! Yay one more week till you head to NC! Hope this week goes by fast for you and the weather cooperates! YES! Counting down, Nancy. Of course, I am sick right now. I’m pretty sure I have acute bronchitis. Nothing too crazy but a lot of coughing and a little weak. Glad I got it before I am leaving for vacation and not while on vacation. Now let’s just hope Ken doesn’t get it! Thanks for joining the party. Have a lovely week! Thank you, Krista! I’m glad you like the new button. Thanks for partying with us this week! Thanks so much for hosting today’s party! I linked up the Winter Olympic cake I made for my husband’s birthday last week – hope you’re enjoying the Olympics as much as we are!! Thanks for the party, Julie. Have a great week and hope it goes faster than you expected! Hello! We hope you had a fantastic weekend. Thanks for hosting such an awesome party! We love your blog!! Thank you for joining us again, ladies! Have a great week! Julie thanks for hosting! 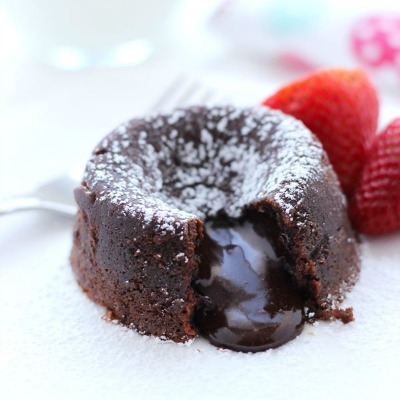 Followed your boards and Pinned some YUMMY looking desserts and dips! Beautiful pictures. So many delicious looking treats! Thanks for hosting! You’re welcome, Julie! Thank you for stopping by! This is a really cool feature, and oh my look at all those desserts!! YES! There are always tons of great recipes at this party. Thanks for stopping by! Hi Julie! It’s been awhile since I’ve been by, but am glad to see you’re still going strong. Thanks for the opportunity to share one of my latest recipes! Pingback: Gluten Free Yummy! Almond-Cranberry Super Grain Bars (gluten-dairy-free) - Gluten Free Yummy!